Frankie Miller was born in Glasgow, Scotland, in 1949. Along with many British musicians of his generation, he became enamored of American music (rock'n'roll, rhythm and blues, soul, etc.) at a young age, drawing his main inspiration from the records that he heard at home, particularly those by Ray Charles, Elvis Presley, and Little Richard. He took it upon himself to sing, play the guitar, and write songs during his childhood, and soon was appearing onstage at local venues, lending his vocal abilities to a number of youthful bands (The Deljacks, Sock 'Em JB, Westfarm Cottage) in his hometown, where he crossed paths with James Dewar, another up-and-coming Scottish musician. In 1970, Frankie Miller received his first break as a member of The Stoics, who were signed to Chrysalis Records. 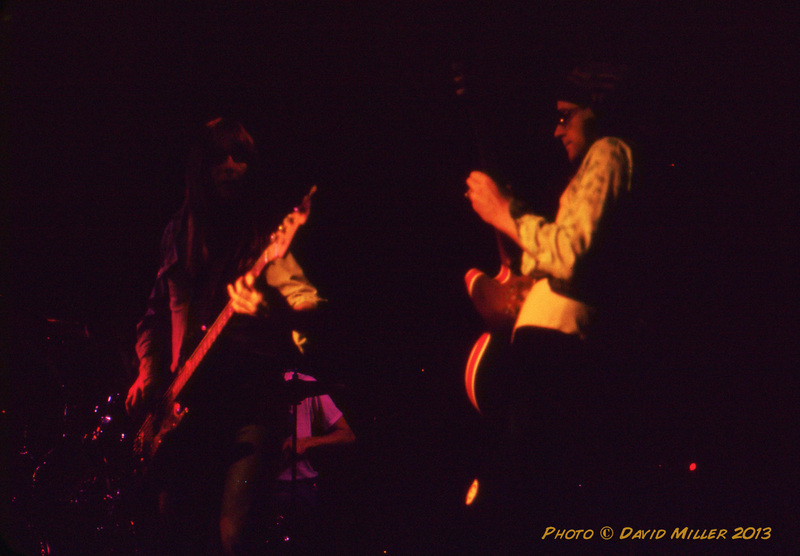 The Stoics were given a chance to tour Germany with Ten Years After, but they broke up before any recordings were completed. Frankie Miller then joined with Robin Trower, the former guitarist with Procol Harum, to form a new band, Jude, which also included James Dewar (Stone the Crows) and Clive Bunker (Jethro Tull), but again, they broke up before recording an album. In 1973, Frankie Miller released his first album, Once in a Blue Moon (with backing from Brinsley Schwarz, a band that included Nick Lowe), which was followed, in 1974, by High Life (recorded in Georgia and Louisiana, with Allen Toussaint as producer). 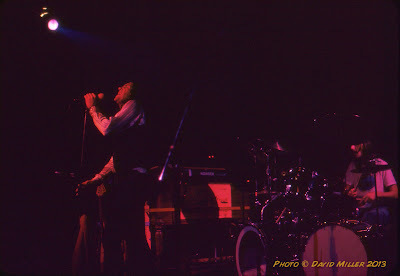 After the release of High Life, Frankie Miller briefly joined with Andy Fraser of Free, and then formed The Frankie Miller Band, comprising Henry McCullough (an Irish musician known as a former member of Eire Apparent, Sweeney's Men, Joe Cocker and The Grease Band, Spooky Tooth, and Paul McCartney's band, Wings) on guitar, Chris Stewart (Eire Apparent, Spooky Tooth) on bass, Mick Weaver (Wynder K. Frog, Wooden Frog) on keyboards, and Stu Perry (Blue Rose, Spirit) on drums. 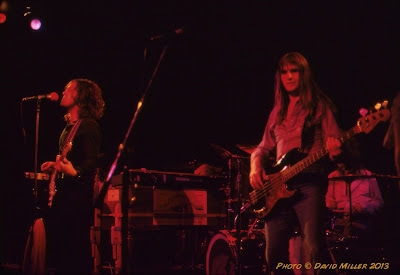 It was this richly talented lineup that provided dependable backing on Frankie Miller's third album, The Rock (which was produced by Elliott Mazer and recorded in San Francisco), and performed at Keystone Berkeley in October, 1975. 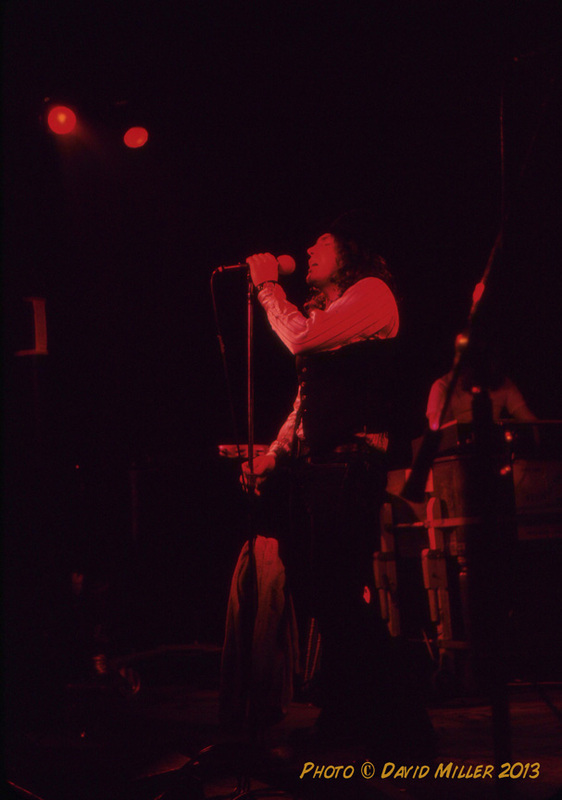 Frankie Miller was a rough-and-ready singer, possessed of a hearty voice and an expressive manner that put him within the soulful tradition of other British vocalists such as Steve Marriott, Chris Farlowe, Joe Cocker, Rod Stewart, and Paul Rodgers. As a performer, he was utterly free of pretense, preferring to use an honest combination of gritty skill and deep feeling to achieve his musical aims. It was unfortunate that his music was not known to a wider audience when he appeared in Berkeley, but he did succeed in gaining more fame during the late 1970s, especially in the United Kingdom and Europe, where his single, "Darlin'," was a hit. David: My concert going was dwindling down in 1975. I think that fatigue was setting in from so many experiences of waiting in line all day, surrounded by heavily intoxicated fans who had less interest in the music than in the party atmosphere. As it turned out, this was the last time that Michael, Gary, and I went to a concert together. Most of the bands that we liked had toured the West Coast a few times already, and going back to see them for a second, third, or even fourth time seemed hardly worth it. In most cases, I felt that the music coming out in 1975 was not as good as before. It seemed that the British rock scene that I loved had peaked. Punk music was moving into the clubs and smaller venues. Disco had taken the world by storm. Both had a bad influence on the music industry. The artistry was gone. All that progress that had been made was being lost. It was either over-synthesized pop, or talentless drunks screaming to slam dancers in a mosh pit. Somehow I heard the album, High Life. Frankie Miller's vocals and music appealed to me. His soulful, gritty singing was reminiscent of Paul Rodgers of Free, Steve Marriott of Humble Pie, and American soul singers like Otis Redding. Allen Toussaint was well-known in the USA, and his collaboration with Frankie Miller produced a powerful sound. 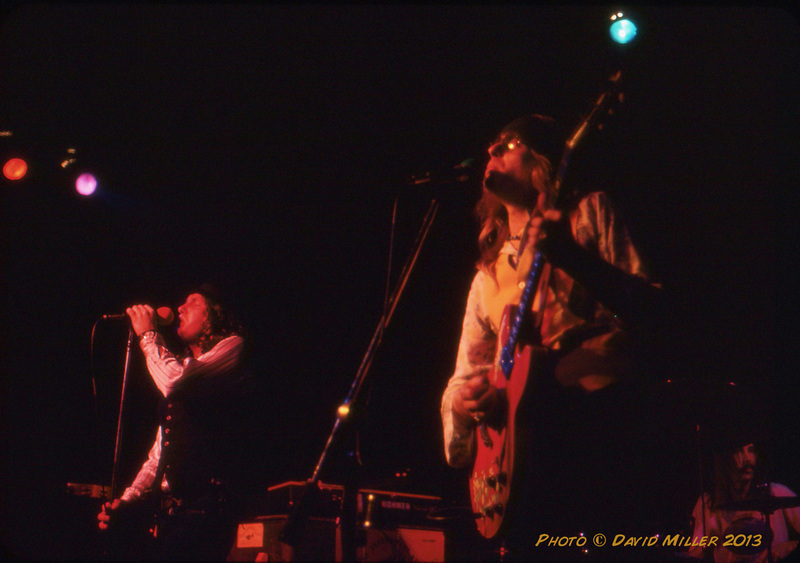 While other bands seemed to be fading out, Frankie Miller offered something fresh and exciting, with strong roots in standard rhythm and blues. I found out that he was going to perform at a local club on Berkeley, the Keystone. My friends and I had seen Caravan there a few months previous, and it was a great place to see a band: very small, with an open floor in front of the stage, so I could get close enough to take photos. 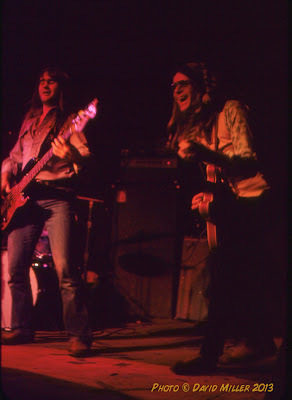 I also discovered that Henry McCullough had left Paul McCartney's Wings and joined The Frankie Miller Band, along with Mick Weaver, which made it a must see. I was not disappointed. Frankie Miller did songs from his new album, The Rock. I don't think I was familiar with it at the time of the concert, but it sounded great. 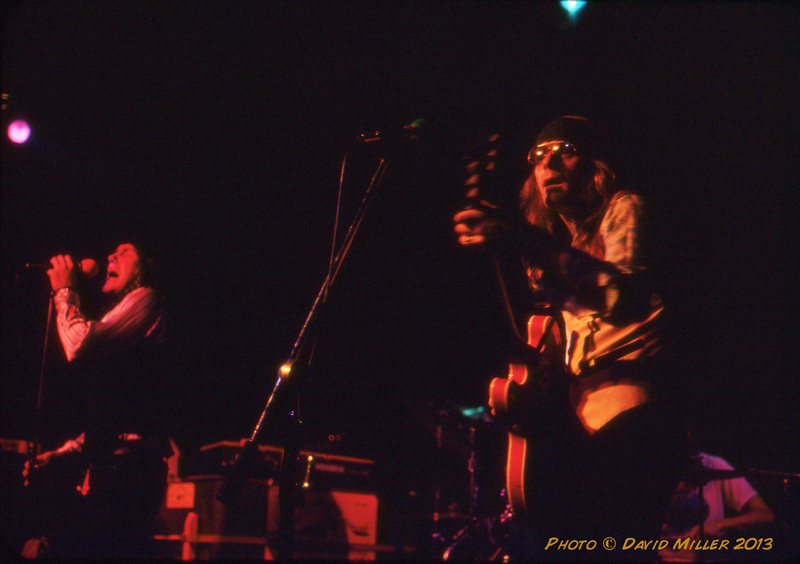 Henry McCullough, with his stocking cap, seemed to be right at home, knocking out chords and tasteful solos. 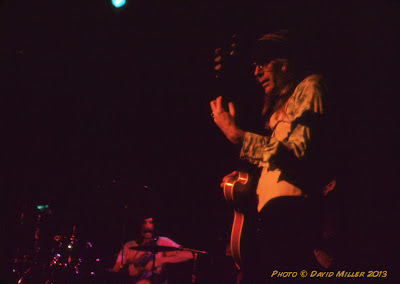 Frankie Miller, in a vest and hat, occasionally played guitar. His vocals were powerful. Together, the band blew the roof off the little club. 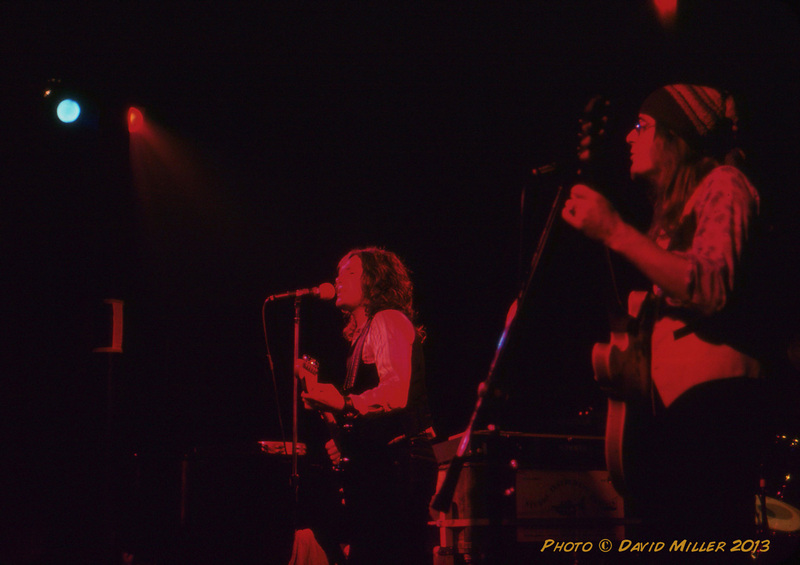 Gary: In 1975 we had started to shift away from big concerts, to smaller, more intimate club concerts. There was a movement in rock music, as I remember, called pub rock, trying to get music into more relaxed places. The Frankie Miller Band seemed to be part of this trend. The blues-influenced music of that period was really quite good: John Mayall, Colosseum, Vinegar Joe, Juicy Lucy, Keef Hartley, Savoy Brown, Chicken Shack, Stone the Crows, etc. Frankie Miller was the next generation. I remember The Frankie Miller Band at the Keystone as being very enjoyable. I recall seeing Frankie Miller kind of milling with the crowd before he went onstage. He wore a big hat, and seemed very likable and friendly, though we didn't get to talk to him. The band was very tight, and included Henry McCullough, who we recently had heard playing that deceptively simple guitar solo on the Paul McCartney record, "My Love," that was all over the radio. (I think he also played on "Give Ireland Back to the Irish.") He played great melancholy blues licks. Although I wasn't familiar with Frankie Miller's songs at that time, I enjoyed the concert nevertheless. 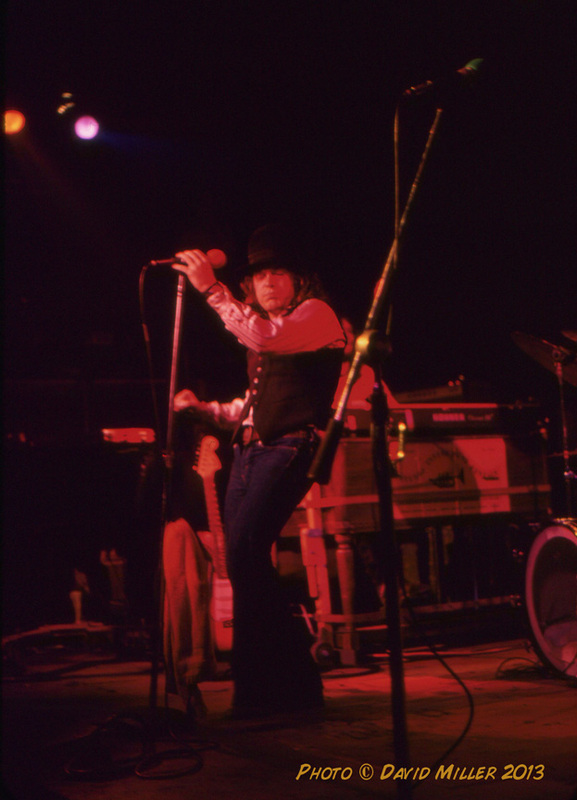 Frankie Miller was a solid musician, with a snarling blues growl. It's funny to compare rock music today, when there is almost nothing original worth hearing, to the 1960s and 1970s, when there was so much good music that you couldn't possibly listen to it all. 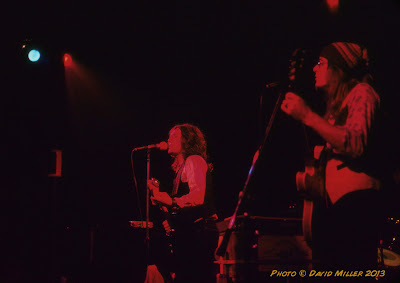 Michael: Frankie Miller was generally unknown in America at the time of this show, and his records rarely were given airplay on the radio (at least in the Bay Area), so I had not heard much of his music. 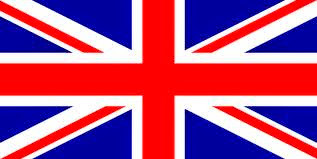 (Actually, in the early 1970s, it seemed that he was a generally unknown figure even in the United Kingdom.) 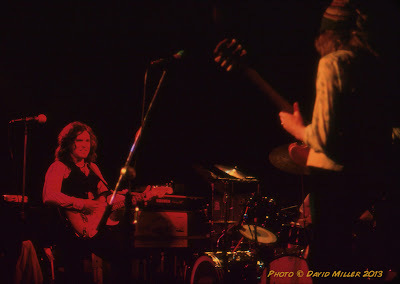 I knew of Frankie Miller mainly as a result of reading about him in Melody Maker, and I was aware of his brief connection to Robin Trower. I was always eager to see any British rocker perform, however, and I was particularly glad to see him in a small venue. 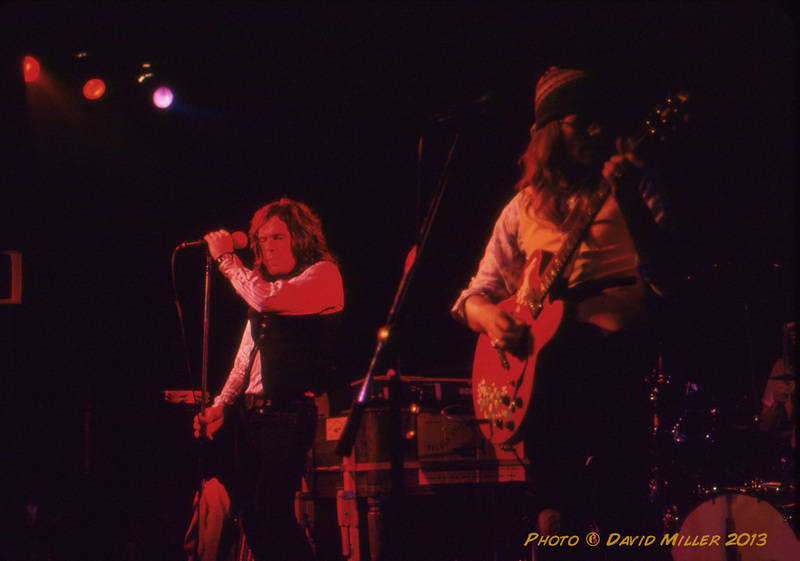 The musicians behind Frankie Miller that evening were all solid players. None of them were especially famous in their own right, but they all were highly regarded for their abilities. 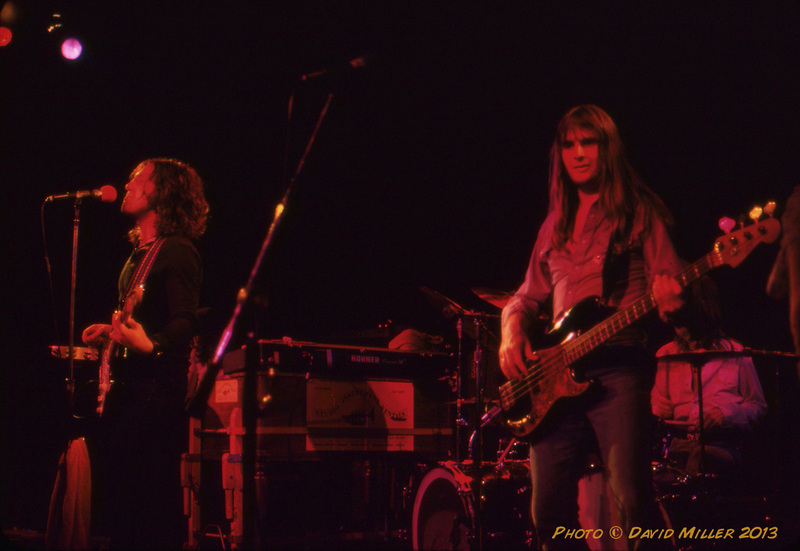 Among them was Henry McCullough, a tasteful guitarist who had established his reputation as a sideman with Joe Cocker. He also had been a member of Wings, playing with Paul McCartney, and had added his distinctive licks to one of their biggest hits, "My Love." For me, it was quite a thrill to be that close to someone who had worked alongside Paul McCartney. Nevertheless, Henry McCullough came across as a down-to-earth character (as did the others, including Frankie Miller himself). 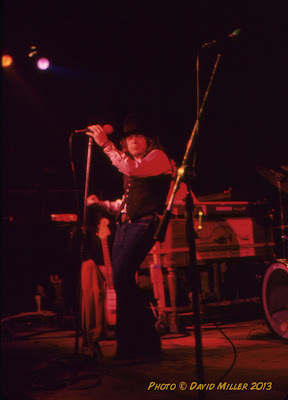 Frankie Miller came onstage wearing a tall hat, which he also wore on the covers of several of his albums. Although it was a small venue with a small stage, Frankie Miller made the most of it, displaying an appealing touch of amiable cockiness as he belted out his bluesy songs and strutted to the beat. He and his fellow musicians clearly had a common understanding among themselves. They all appeared to relish the vigorous music that they were making together. As was usual with a show at the Keystone, it was a valuable opportunity to witness a forthright performance in a low-key setting. 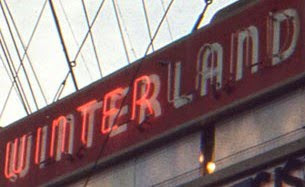 Do you have the date(s) when Frankie Miller played Winterland? BTW...great job.